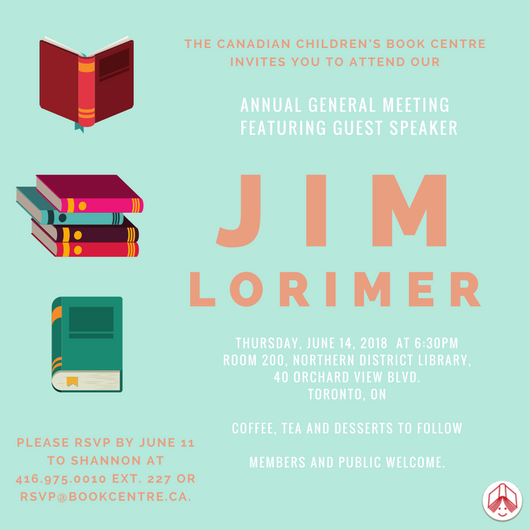 The Canadian Children’s Book Centre’s Annual General Meeting will be taking place on Thursday, June 14, 2018 at 6:30 pm. This year’s guest speaker is veteran publisher Jim Lorimer. CCBC members and public are welcome to attend. 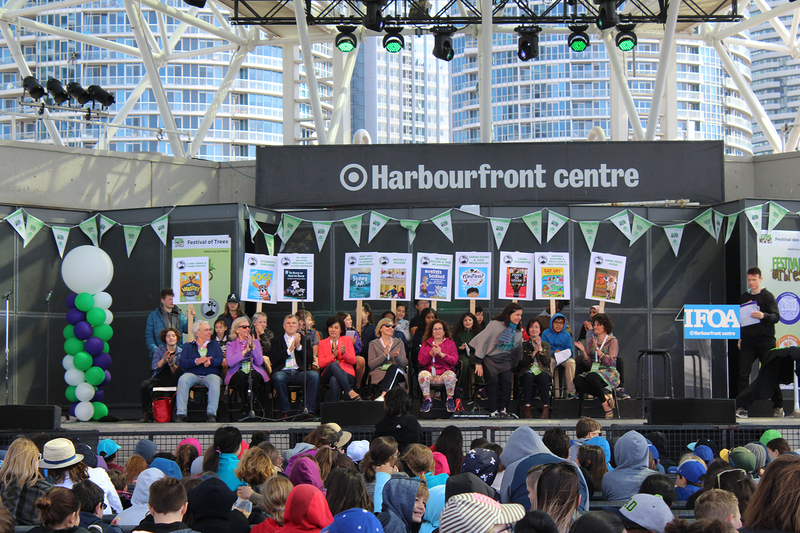 The 2018 TD Canadian Children’s Book Week Was a Major Success! From May 5th 2018 to May 12 28 authors, storytellers and illustrators gave 400 readings to over 28,000 children, teens and adults in roughly 175 communities across the country. 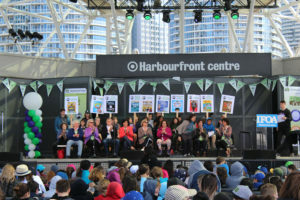 Check out photos at bookweek.ca and stay tuned for information about Book Week 2019! Submissions are now open for Formac Publishing Company’s Write to Win! Contest. 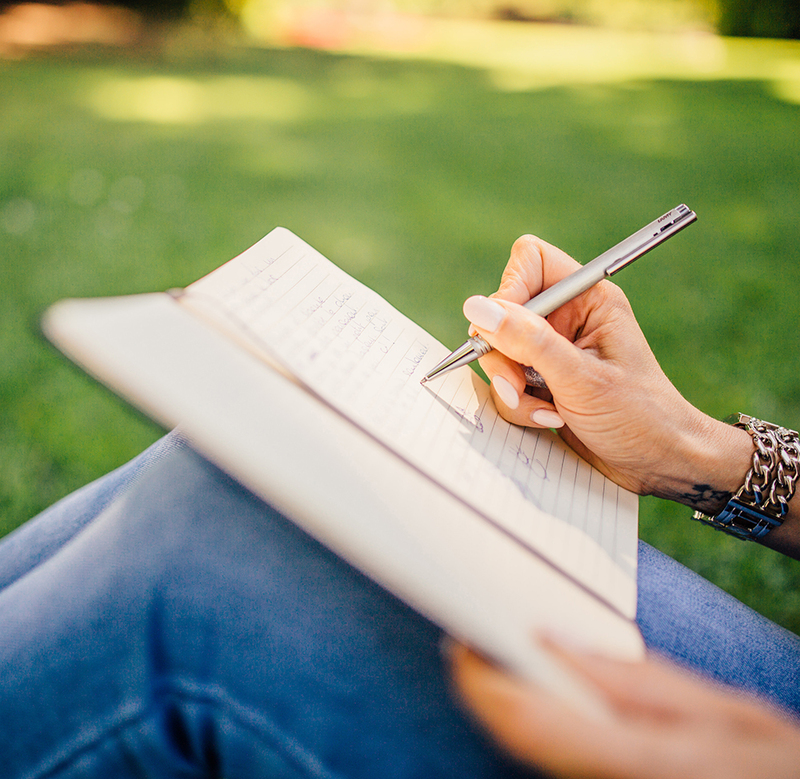 Atlantic Canadians aged 18 to 40 who write literary or non-fiction can enter for free. Their original unpublished work must be 20,000 to 60,000 words and written for teen or adult readers. The winner will receive $1,500 and a publishing offer. Second and third place will receive $1,000 and $500, respectively. Submissions will be judged by writers George Elliot Clarke, Sheree Fitch and Wanda Lauren Taylor. Submissions are open until June 30th, 2018. Enter to win: The Landing by John Ibbitson Prize Pack! The CCBC has teamed up with Kids Can Press to create a special reissue of the Governor’s General Award winning book The Landing, with proceeds supporting the Book Centre. To celebrate, we’re holding a contest! 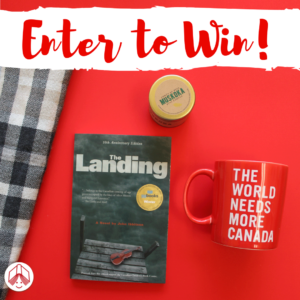 You can win a copy of The Landing, a reading blanket, a Muskoka candle and a “The World Needs More Canada” mug. Follow us on Facebook and enter to win here! The Landing is on sale now! Available in bookstores or through the CCBC’s online shop. Order through the CCBC and receive a FREE subscription to Canadian Children’s Book News and Best Books for Kids & Teens. Enter coupon code landing to take advantage of this limited time offer. Offer ends July 1st, 2018! 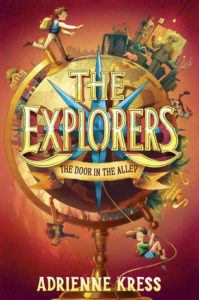 Spring Issue of Best Books for Kids & Teens Available Now! The Spring issue of Best Books for Kids and Teens is available now! Buy the latest issue here or on newsstands. 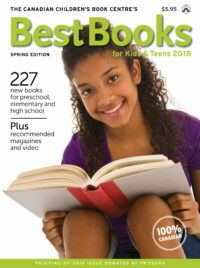 The Spring edition features 227 new books for kids and teens and recommended magazines and video! You can subscribe to not only Best Books for Kids and Teens but Canadian Children’s Book News as well for $24.95 a year. Subscribe online here. We had an amazing time at the Forest of Reading Festival of Trees. You can look at our photos from the second day here. Check Out Our Summer Reading Program! Summer time is here and reading is easy, thanks to our summer reading program! 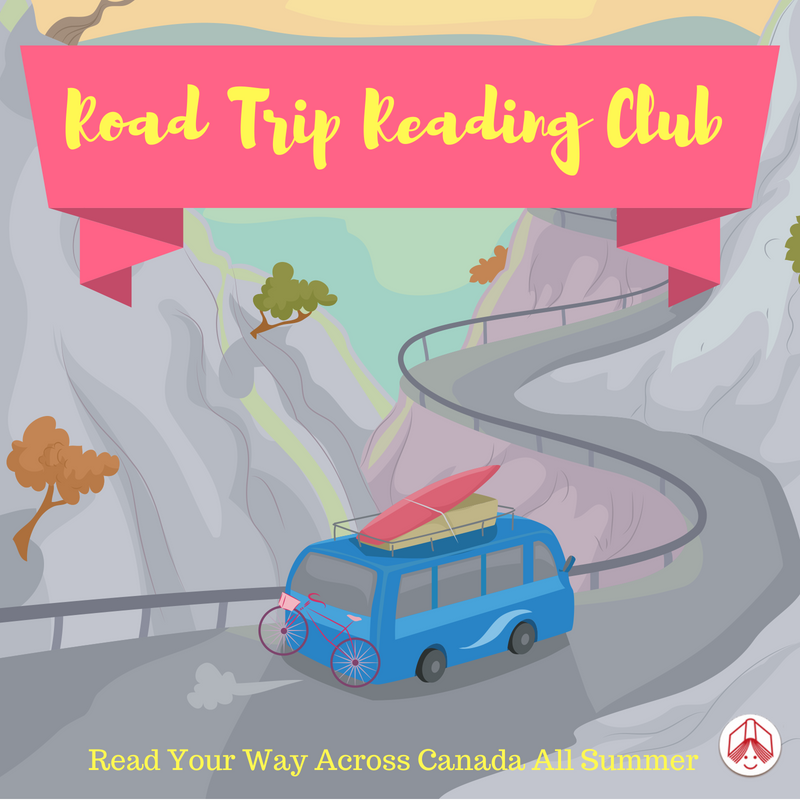 Read your way across Canada with our Road Trip Reading Club, no vehicle required (but a library card would help). We’re road tripping our way across the country one book at a time all summer. 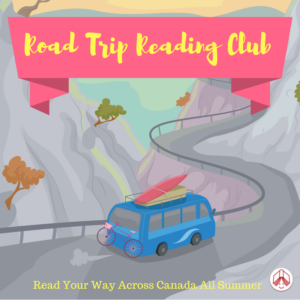 Check out bookcentre.ca/roadtripreading for fun activities, book recommendations and more! Share your thoughts on social media using the hashtag #RoadTripReading, read along with us, try to complete our Book Bingo challenge and print out one of our bookmarks! 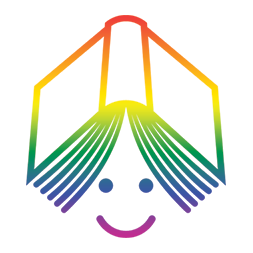 Each month we create a themed book list but this month we’re doing something special: our PRIDE reading list is curated by Erin Grittani, Assistant General Manager at Glad Day Bookshop. Here are her recommendations for Pride Month! Looking to fill your bookshelves with awesome books for PRIDE? Here are a few suggestions to get you going! Age recommendations included. 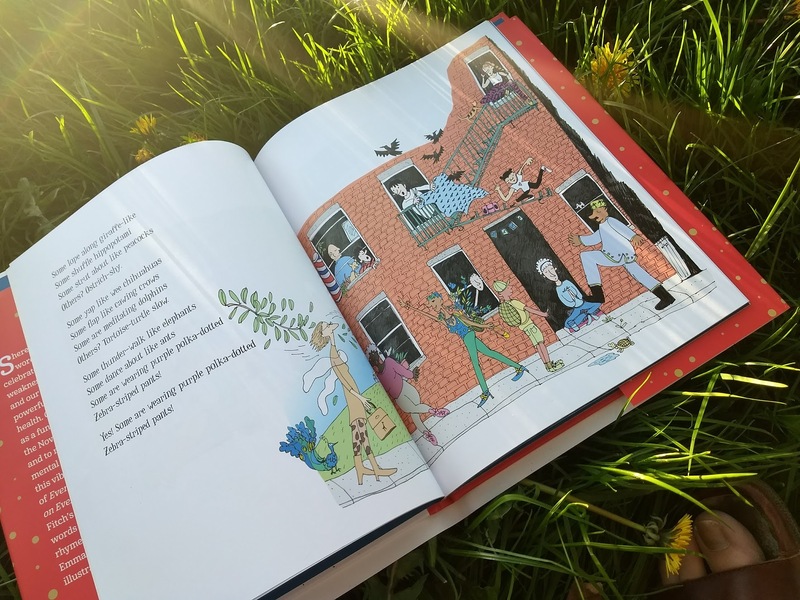 Flamingo Rampant is an amazing publisher that focuses on diverse, feminist and LGBTQ books for kids. Their paperbacks for kids make great stories for homes and schools and really belong on all bookshelves. The following are some great titles from Flamingo Rampant written by Canadian authors. Check them out! 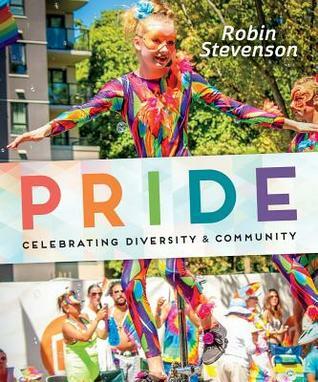 Robin Stevenson’s PRIDE is an absolute MUST. Stevenson takes extreme care to explain to youth the story and importance of PRIDE. This book also transfers well for teens and adults who are also looking to learn or for help in teaching others. 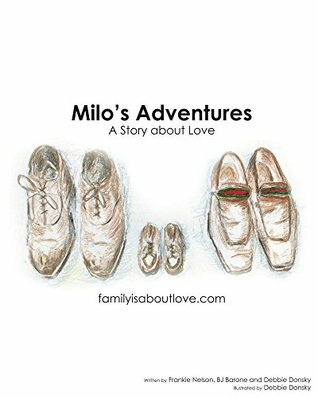 This is a wonderful book that looks at Milo’s true story of coming into the world through surrogacy to be loved by his two Dads. The photo of his 2 fathers being passed Milo in the delivery room went viral and this is their story put to paper. It’s a great way to talk about the way different families come together. Caveat: The illustrations aren’t great but they are worth whole heatedly forgiving for the amazing story. Tear jerker alert! Amazing middle grade fiction hitting all the marks- blended family, indigenous content and of course, queer content! This is for the young reader looking for deeper content. 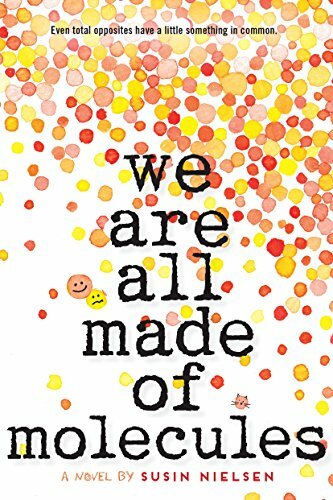 Another great middle grade novel that focuses on youth who have recently been blended together when their Mom and Dad marry. These kids are different socially and emotionally. 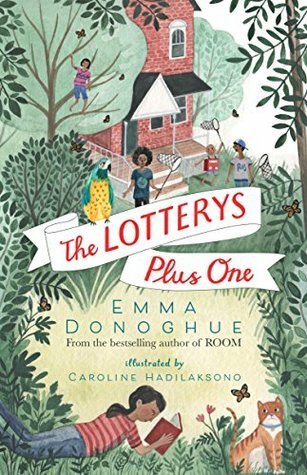 One of the kids has a newly out father and the book delicately and wonderfully navigates what this must be like for the child. Nielsen has an incredible way of bringing humour to serious topics in a way that enlightens. 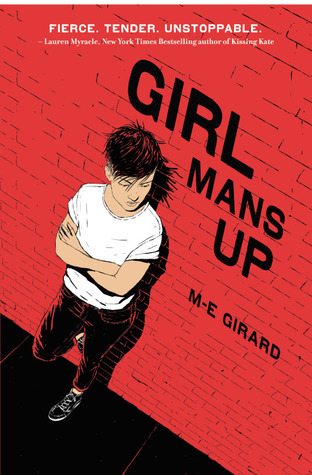 This book was a home run for first time author M.E.Girard. For me, this book really explored identity. How does the world see you? How do you see yourself? For a teen navigating the world, things are complicated enough on there own before we throw in the push to define gender and sexual identity. This book was honest, quirky and would really appeal to gamers out there. This adult-teen crossover is perfect for Torontonians, Canadians and Queers everywhere. This is a great upper highschool read and is both gritty and light. 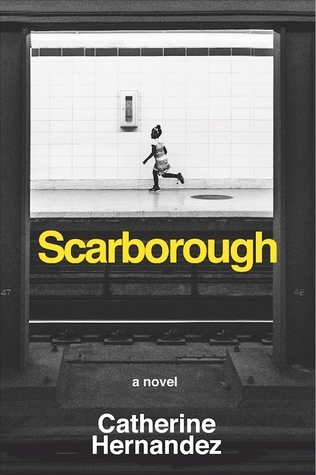 Danny is a Syrian-Canadian writer and activist and this first novel is as breathtaking as The Kyte Runner. He has woven this amazing adult-teen crossover to take place in the future to make the past our now present. This is definitely for older teens as it is very heavy at times. 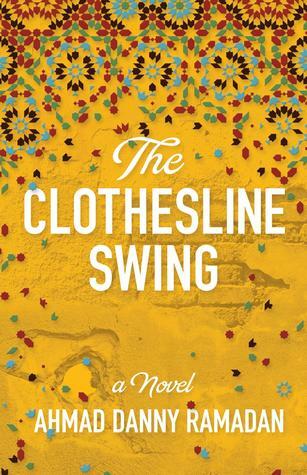 Incredibly beautiful and an amazing gay love story, this book looks at important issues that are going on in Syria now and leaves doors open for amazing discussion. 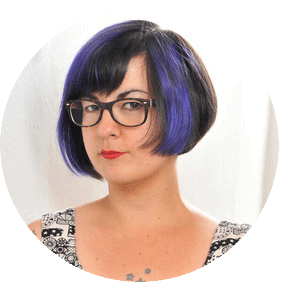 Mariko Tamaki has garnered much acclaim for both her written and performance-based work. 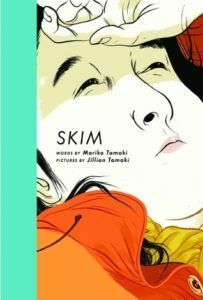 The graphic novel Skim (with Jillian Tamaki) was shortlisted for the Governor General’s Award and received numerous other accolades, including the Doug Wright Award for Best Graphic Novel, the Ignatz Award, and the Joe Schuster Award. 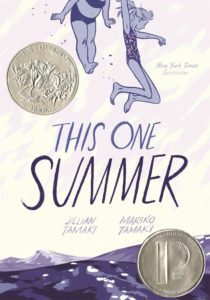 This One Summer, also a graphic novel with Jillian Tamaki, is a Caldecott Honor Book and Governor General’s Award winner. Tamaki was also awarded the Writers’ Trust Honour of Distinction for her body of work. First, tell us a little bit about yourself. How did you get started as an author? What is your writing process like? I’ve always been someone who likes to write. I like everything about writing. I love stories and telling stories. I love observing stuff and then putting it down on paper, which I’ve done since I was a Harriet The Spy wannabe when I was ten. I love paper and pens and pencils. I love the sound of a keyboard when I’m typing real fast. The whole thing. When I was in high school I was very lucky to have a lot of amazing teachers who encouraged me to write. I also lived in a lot of different cities, over the years, with amazing writer communities and spaces (open mics and salons) for sharing my work with others. Which is another way of saying I’ve been writing somewhat bad poetry since I was a teenager, and I had space to develop that into something better. 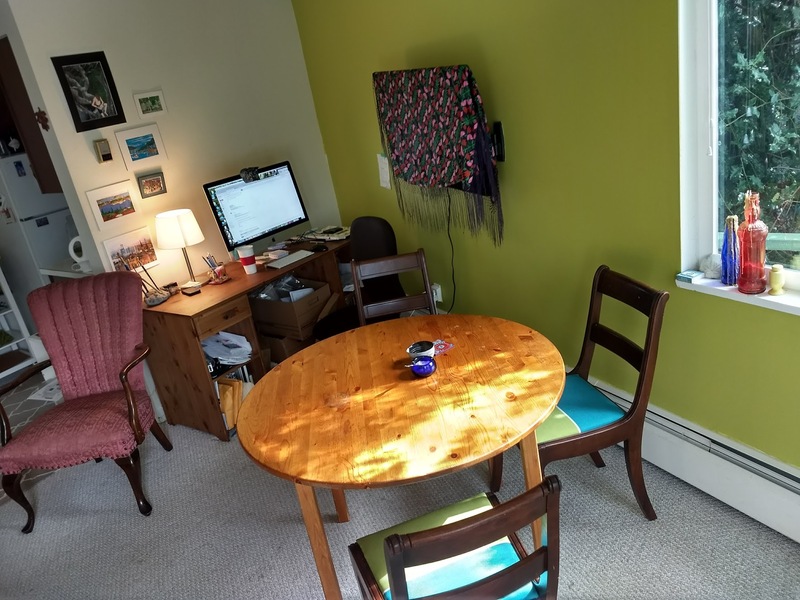 You need a space, you know, where you can start out as a not great writer and work on it so you get better. My writing process is sort of a constant stewing with bursts of planning and organizing and outlining then writing. I think a lot of writing is going out in the world and getting inspired and reading and thinking about the sorts of stories that inspire you. And the other half is the serious business of planning your work and then making it happen on the page. I am now, after many years, a solid outliner of my prose, which I think comes from working in comics where you need to have a real sense of your plan before you dive in. 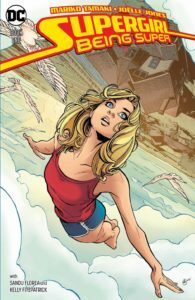 The Lumberjanes book series isn’t the first time you have worked with well known and loved characters; you were also the writer for Supergirl: Being Super and Hulk. 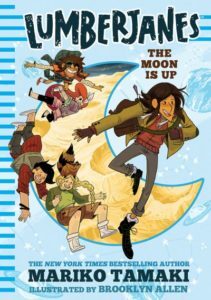 How did the experience of working with the pre-existing characters in Lumberjanes differ from your past experiences? I think when you have a pre-existing character, you have a little more liberty to really devote to the story, as opposed to the characters. Because your readers, often, already have a sense of a character’s motivation and a sense of who they are going into the writing process. That said, to write a good story, I think you need to embody that character, which does involve a degree of making that character something very personal to you, and putting a little bit of what you know into that character’s development. When you’re writing something outside yourself, something you didn’t originate, it’s about connecting to that external thing, about understanding the story you’re stepping into and what your part is in telling the next part of that story. Which, for me, has been a really great exercise as a writer. Also, no matter who or what you’re writing, it’s all about the details. The more the better. 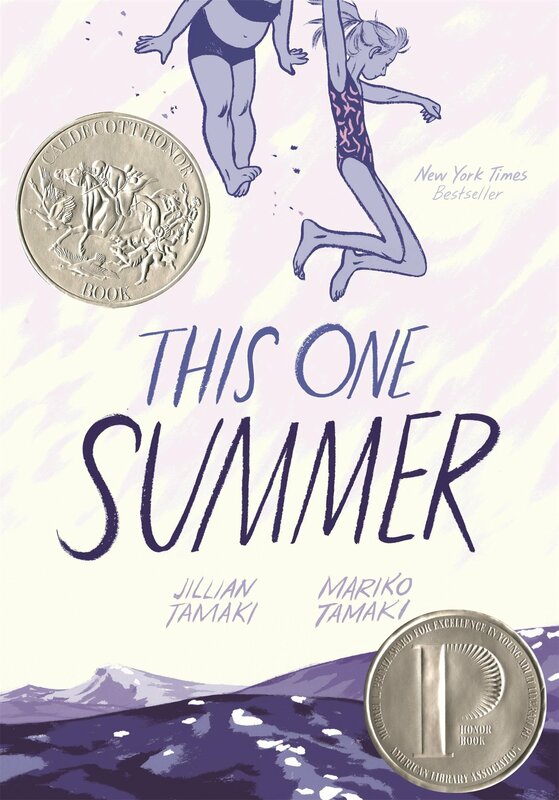 As a writer of books for young people that feature LGBTQIA characters, how have you seen the positive impact of queer representation first hand? I think more and more, LGBTQ+ characters are not anomalies. They are showing up in literature more in the way they show up in life. And to me that feels like progress. I used to have a moment when I read queer characters stories in schools, a nervous moment, and now I feel like the air doesn’t get sucked out of the room when it comes up. That’s not to say that things are uniformly better for LGBTQIA kids or that there’s a mass acceptance of LGBTQIA issues across the board, across the world or even across the country, but I will say I’ve had a few school experiences recently that have really surprised me as someone who has been a queer writer visiting schools for almost 15 years now, some really positive experiences talking to kids. I think we still need more queer characters, and I think if you look at what books get challenged in libraries you can see it’s still a problem in some areas, but I appreciate what moments I experience that feel like we’re moving forward. 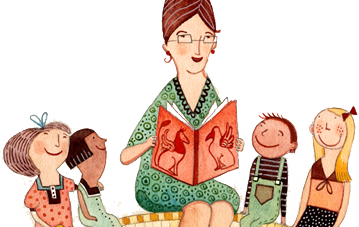 Do you have any activity suggestions or tips for teachers who would like to use your books in the classroom? The Lumberjanes books are CHOCK FULL of references to famous figures in history. And I think it would be a great project to collect those and have kids look them up. Because part of the story is about expanding your horizons, learning more about the world around you. And what better way to do that than by digging into the stories of some other heroes and adventurers. Real ones! What does Pride Month mean to you and how will you be celebrating? I celebrate Pride differently every year. Usually with some level of brunch, sometimes a parade, with my girlfriend. It all depends on what city we’re in at the time. Pride to me is a reminder of the activists and artists who have come before me, and I try to take a moment to reflect on them. What projects are you working on now? Can you tell us about any upcoming books? I am currently working on an X-23 comic for Marvel. I’m working on a YA murder mystery prose novel, which is finally closer to done than not done. 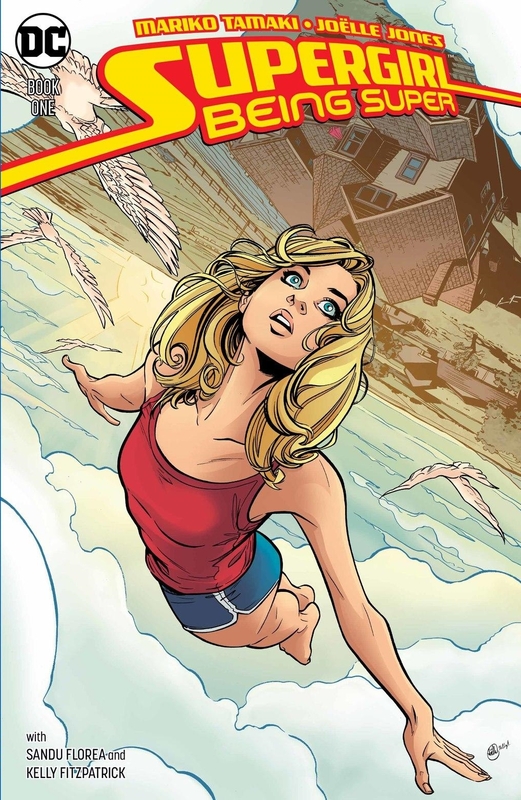 I’m also also working on a Harley Quinn book with Steve Pugh for the very exciting new DC Comics YA imprint, DC Ink. Last but in no way least, I’m writing my fourth Lumberjanes book for Abrams. The third book, about Ripley, is called, The Good Egg and the art by Brooklyn Allen is amazing. 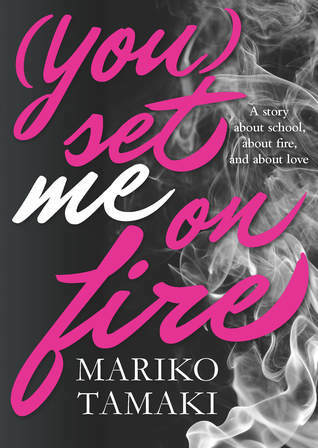 Find out more about Mariko’s work on her blog at www.marikotamaki.com and on Twitter at @marikotamaki. Hello Canadian teen book readers! 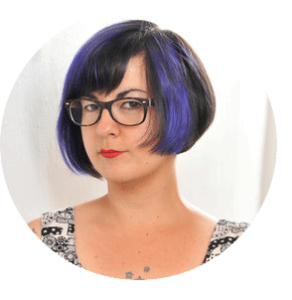 Change of authors this month – Christina Minaki’s Burning the Boats launched on May 24th, but due to my personal medical problems I was unable to get together with her to tape our podcast. 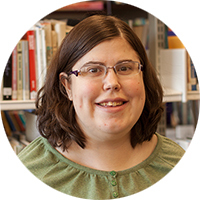 Look for her in one of my special summer podcasts that will be available through the CCBC’s Twitter feed. In 2014, Amy Mathers read and reviewed 365 YA books to raise funds to create the Amy Mathers Teen Book Award. 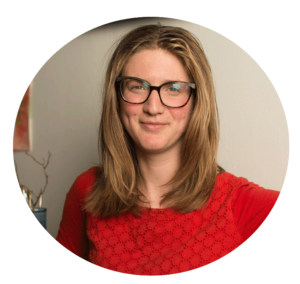 Emma FitzGerald was born in Lesotho, a small mountainous kingdom in Southern Africa, to Irish parents, did most of her growing up in Vancouver, and calls Halifax home. 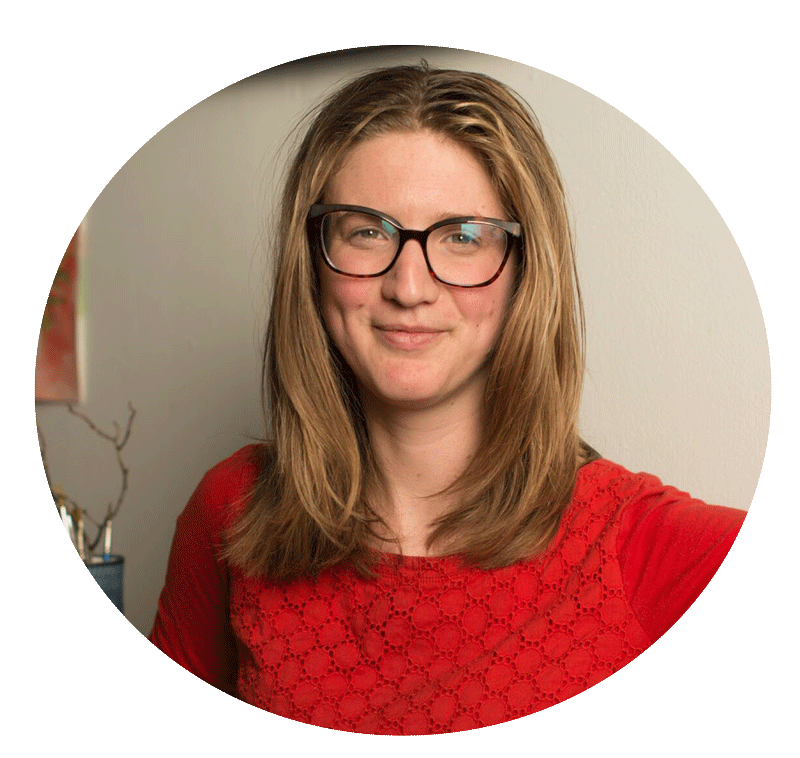 She wrote and illustrated Hand Drawn Halifax and Sketch by Sketch Along Nova Scotia’s South Shore, and is currently working on Hand Drawn Vancouver. When she isn’t sketching, she enjoys dancing and getting lost in new places. How did you get your start as an illustrator? I was always drawing growing up, whether illustrating menus for my Mum’s dinner parties, or my own stories. I was influenced by my elementary school principal and children’s book author, David Bouchard who would bring in his projects to share the process of making a book, including a place-based poem, If you are not from the Prairie… illustrated by Henry Ripplinger. However, after high school I studied Fine Art and Architecture at the University of British Columbia and Dalhousie University respectively, so I never received a formal education in illustrating. That said, I received lots of valuable tools from both degrees, including drawing skills, technical and conceptual skills and the ability to take risks. Between my two degrees I took an extended studies course at UBC with Michael Katz of Tradewinds books; it was a 6 week crash course in children’s book industry and how it works. It still took another 10 years after that before I started working on my first book Hand Drawn Halifax so I see it as a slow and steady process of building my own confidence and the right connections. In the case of Hand Drawn Halifax the initial drawings came out of economic necessity; I was starting a house portrait business as I couldn’t find architectural work. This led to documenting my neighbourhood and pitching the idea of a Hand Drawn book of neighbourhoods to local publishers at “Word on the Street” in Halifax in 2013. Two years later the book was published with Formac Publishing, with images and text by me. Can you walk us through the artistic process for your illustrative work? I draw with a fine liner pen, almost never using pencil, and then scan the drawing into Photoshop. I add colour in a separate layer set to ‘multiply’ to achieve a flat, saturated colour in amongst my sometimes messy/ ‘lively’ line work. This is something I did a lot of while working in architecture, often during initial design stages, but it took awhile for it to come into my illustrative drawings. Previous to that I usually used watercolours, also with pen. Can you tell us about your illustration style and how it came about? Which artists have served as an inspiration? I am grateful for a teacher in elementary school, Mr. Mitchell, who got us to sketch daffodils with fine liner pens. I fell in love with diving into a drawing and never erasing, and I have stuck with that ever since. I think my quick way of working was influenced by the amount of travel I did in my late teens and early 20’s. I was often on the move; I moved with my family to Dublin when I was 16, and spent my first and second years of university in England and France, and later worked in architecture in South Africa. These frequent moves meant I was often adjusting to new places, and drawing was a form of comfort/getting to know my new environment. I also love to dance, both ballet and modern, and I think this comes across in my drawing – there is lots of movement. Artists that inspire often work in a similar manner, with quick pen work; Sempe and Quentin Blake come to mind. I am also inspired by the colours of painters like Bonnard and Van Gogh. More recently I have enjoyed discovering Roger Duvoisin, Remy Charlip and Barbara Cooney and see how they matured as illustrators in careers that span many years. Sydney Smith who used to live in Halifax and beautifully illustrated Side Walk Flowers (Groundwood Books) inspired me to reach out to local publishers when he started working with Nimbus Publishing on Sheree Fitch’s books. And now I have just illustrated Sheree’s latest book with Nimbus, EveryBody’s Different on EveryBody Street nearly 10 years after I first submitted my portfolio to Nimbus. For this particular project Nimbus contacted me, as they became more aware of my work after completing Hand Drawn Halifax. You have your Masters in Architecture from Dalhousie University and it’s easy to see that reflected in your books Hand Drawn Halifax and Sketch by Sketch: Along Nova Scotia’s South Shore. How did your background in architecture impact your art for EveryBody’s Different on EveryBody Street? Besides mixing hand drawing and digital processes, which I did a lot of in architecture, I enjoyed situating the book on a particular street, with people placed within a series of modest apartment buildings. I used every surface of I could to help tell the story, whether it was the rooftop or vines growing up a wall, or a performance in the space between two buildings, or a dance alon g a fire escape. I used some architectural conventions like a ‘section’ which cuts through a building to see what is inside, something done so well by Richard Scarry in the books I read as a child. Architecture, in its highest form, tries to design for EveryBody, and I am fond of concepts like Universal Design, which acknowledge we will all have some form of disability in our lifetime, and our cities should be designed accordingly. This really resonates with the ethos of the book. As such, I used my dedication to pay tribute to two architectural mentors; Lineo Lerotholi and Peter Rich who are doing incredible work in Southern Africa. Of course, I was very happy to not have to analyze the number of stair treads or cost of making a building real! Those are parts of architecture I am happy to leave behind. 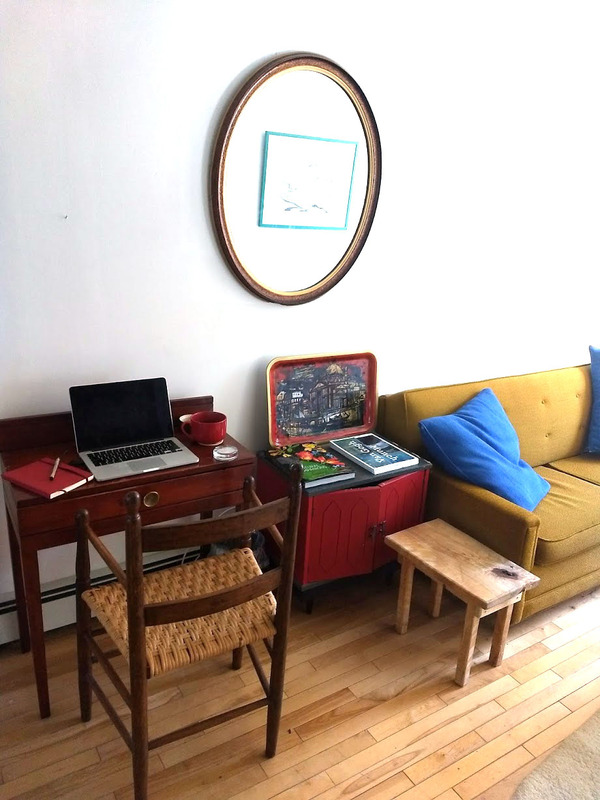 Emma’s workspace in Vancouver, BC, where she illustrated EveryBody’s Different on EveryBody Street. How did you start illustrating colouring books? 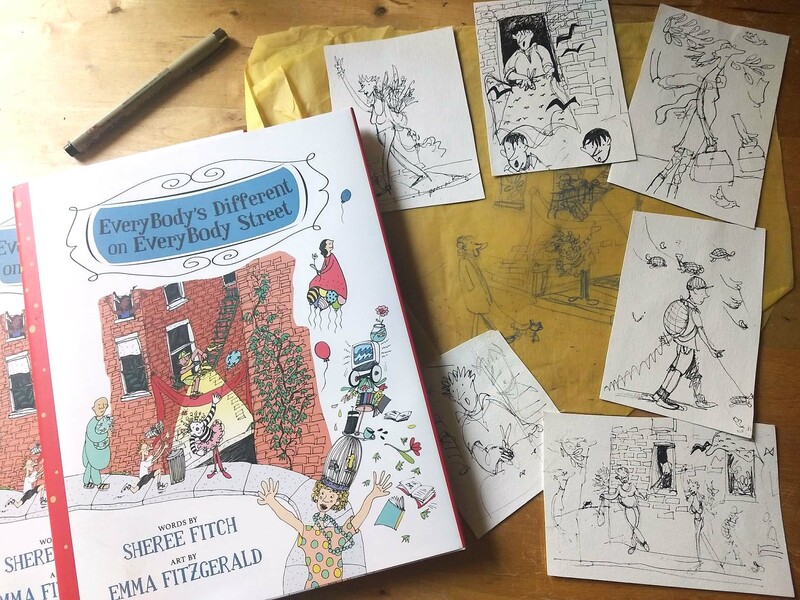 How is that experience different from illustrating a picture book like EveryBody’s Different on EveryBody Street? The colouring book Hand Drawn Halifax: The Colouring Book came after the first book Hand Drawn Halifax, which contained text I had written, as well as full colour illustrations. The Colouring book required me to ‘un-colour’ those initial drawings and was fun as I got to see other people interpret my drawings. The main difference between the first books and EveryBody’s Different on EveryBody Street is that I first had to do rough drawings for the entire children’s book, get feed back, and then proceed with finished drawings. The other books are a cumulative process where I draw on location and there is no rehearsal/second go at the drawing. With EveryBody I had to refine those rough sketches. There were a lot less drawings to do, but more pressure to sustain the story. A lightbox borrowed from friends and tracing paper helped me. That part of the process reminded me more of architecture as well; continually refining, but at the same time not wanting to loose the looseness. What is next for you? What projects are you working on now? Now I am working on Hand Drawn Vancouver with Appetite of Penguin Random House. I grew up in Vancouver so it was a real pleasure to make this project a reality. I have been living in Vancouver for the past 10 months as my process requires me to be on location for all the seasons. This has allowed me to be close to family, and revisit favourite places in the city, drawing on location. It is almost ready for editing, and will be out June 2019. Canada’s independent booksellers share their recommendations for kids and teens. To find a local independent bookstore, visit findabookstore.ca. McNally Robinson, Winnipeg Manitoba : The Painting by Chris Cotter (Tundra Books, 2018), Ages 8-12. Told in a dual perspective, The Painting follows two girls. One trapped living in the real world, and one trapped within a painting of a red light house. When Annie loses her mom, her world seems to be spiraling, but things seem to be getting better when she accidentally ends up in one of her favourite paintings. 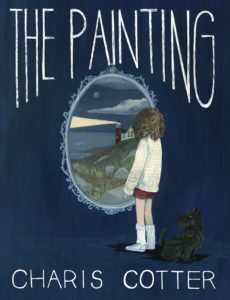 Within this painted world she meets Claire, the daughter of the artist who painted the red lighthouse portrait. The world around them seems to become more and more mysterious as the two spend more time together. What are the odds that two cats in a robotic dog suit can save the world from an evil baby who’s secretly an alien? 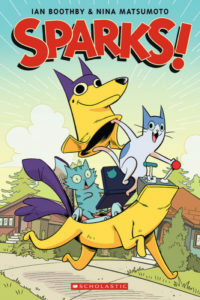 Nina Matsumoto’s and Ian Boothby’s Sparks! is a rip-roaring caper full of humour and expressive cartooning that I would recommend not just for kids but for anyone who likes madcap adventure! August and Charlie are two super-smart cats who love watching nature documentaries and re-programming their sentient litter box. But when this proves just too boring for the pair, they venture out in their robotic dog suit to save humans from all kinds of disasters, including an evil alien who plans to dominate the earth! If your independent bookstore would like to participate in this feature, please contact us. 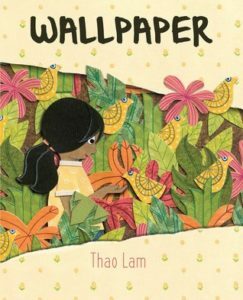 Wallpaper by Thao Lam, (Owlkids Books, 2018), Ages 4-7. We will be taking a break over the summer, but will be back with more in September. Be sure to keep up with us on our website at bookcentre.ca and on Facebook, Twitter, Pinterest and Instagram. Have a wonderful summer!